At one point in time, the majority of Chinese restaurants in Vancouver over-represented Cantonese cuisine. 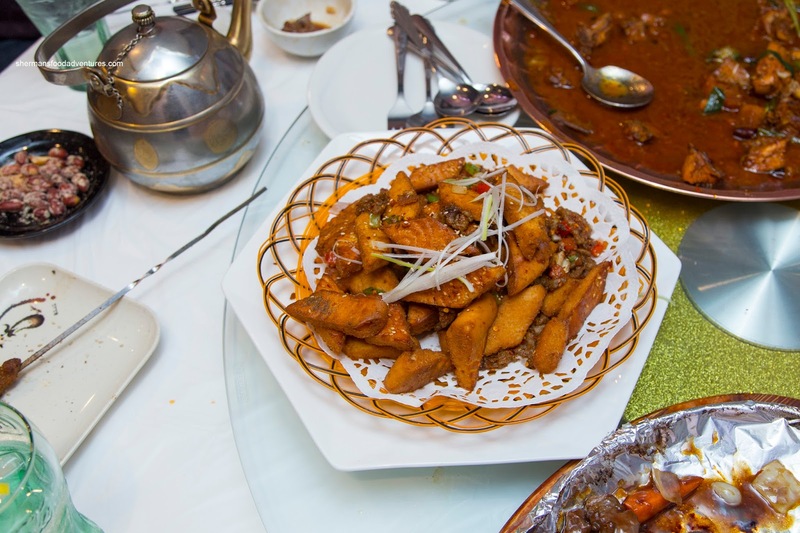 In the 70's and 80's, there was not only limited diversity in Chinese cuisine, there was a general lack of Chinese restaurants. 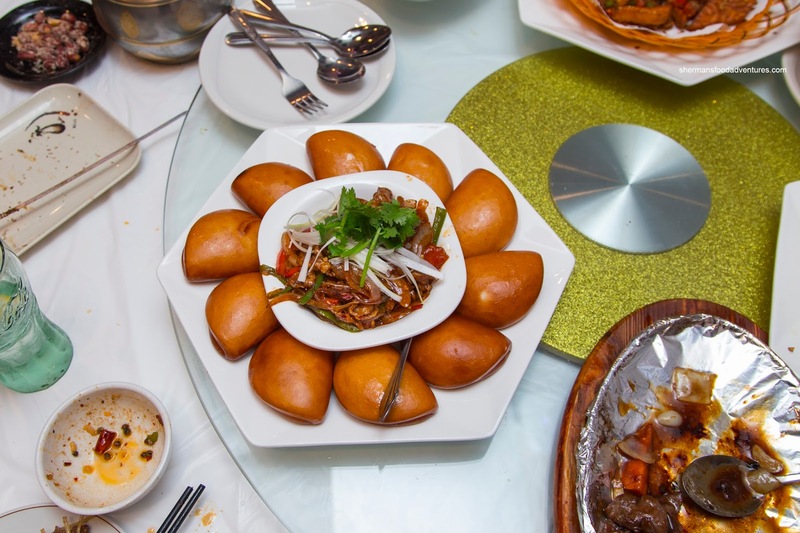 However, as we moved into the 90's and into the 21st century, we began to see more Shanghainese, Taiwanese and Szechuan joints. 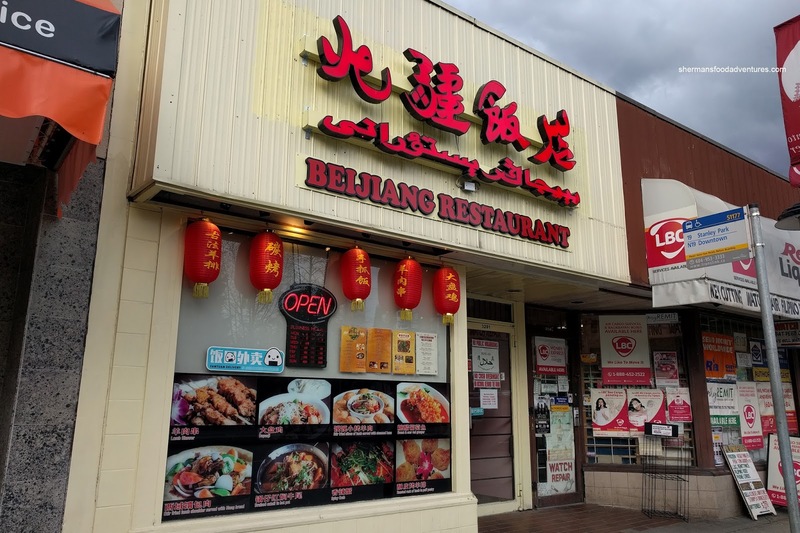 Recently, there has been a run of Northern Chinese restaurants (could have something to do with increased immigration from Mainland China). We were invited to try Beijiang Restaurant located in the former Dragon House. They have been around since 2009, but at a different location. We started off with their most popular and as it turned out, the strongest dish of the meal in the Dapanji Chicken. Presented on a large platter, it consisted of Xinjiang style braised chicken and potatoes served with house-made noodles. This was aromatic even before we dug into it. 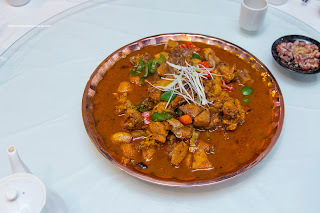 The sauce was spicy with a balanced amount of savoury and sweet elements. With a touch of numbing spice and hits of cumin, the chicken was full-flavoured with some natural sweetness. Texturally, the meat was on the chewier side due to being free-range. When we were half-done, they added house-made noodles to soak up the rest of the flavourful sauce. I found them a bit soft, but still with some chewiness left. 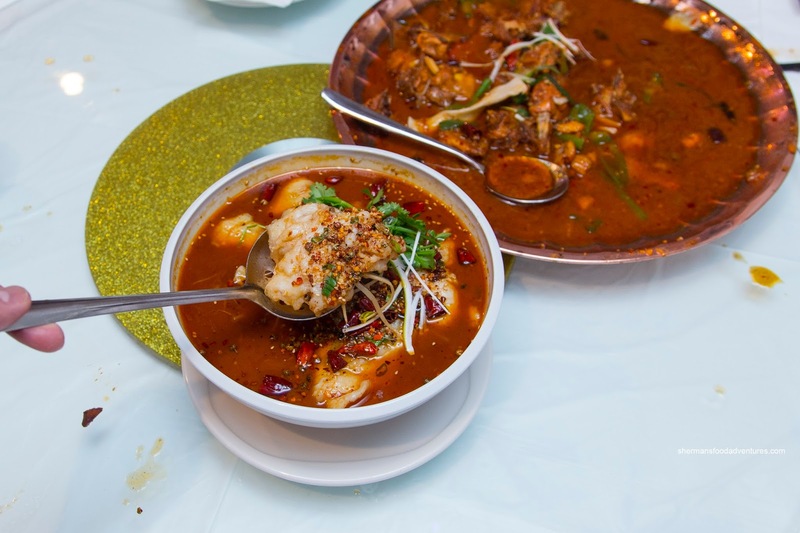 Next, we were presented with the Hot & Spicy Basa Fish Soup that was very similar to the classic Szechuan Water-Boiled Fish. This was chock full of big tender and buttery basa fillets which were bathed in a mildly spicy broth. When a bite contained a Szechuan peppercorn, there was some appealing tongue-numbing spiciness. However, by itself, the broth was rather mild, yet at the same time, the rest of the spices did come through. 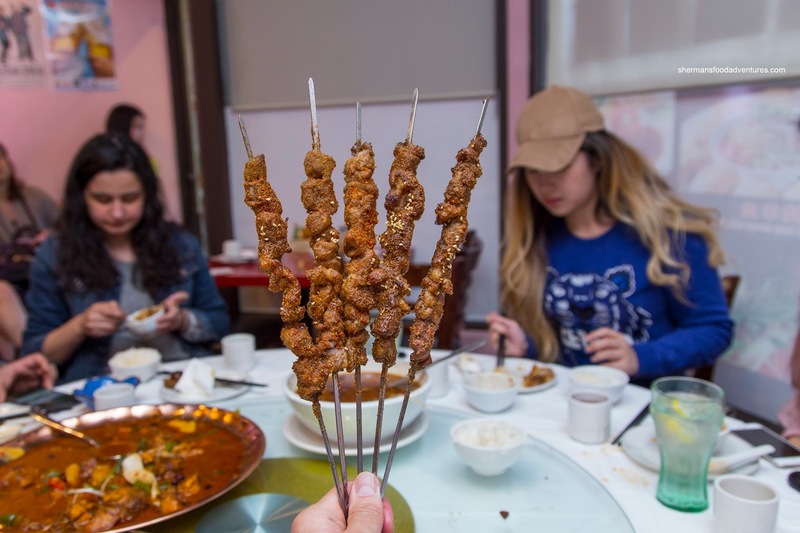 Another on point item was the Lamb BBQ Skewers as they were completely coated in spices, in particular cumin. The lamb was cooked just right where it was succulent and tender. There was no absence of rich flavours, however, I would've liked to see a bit more charring. 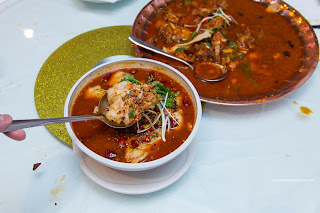 Moving away from spicy, we had the Crispy Singing Rice served with a starch-thickened broth. I really enjoyed the toasted rice as it was light and definitely crispy without any hard portions. When doused with the sauce, the rice softened up without becoming a mush. I found the sauce to be pretty mild but not bland. All of the ingredients, including the veggies were cooked just enough retaining an appealing texture. Presented on a sizzling cast iron plate, but lined with foil, we had the Stir-Fried Beef. I would've personally liked the beef searing on the hot plate without the foil, but it was still tasty. Each slice was large and buttery with a savoury and tangy sauce barely clinging on. 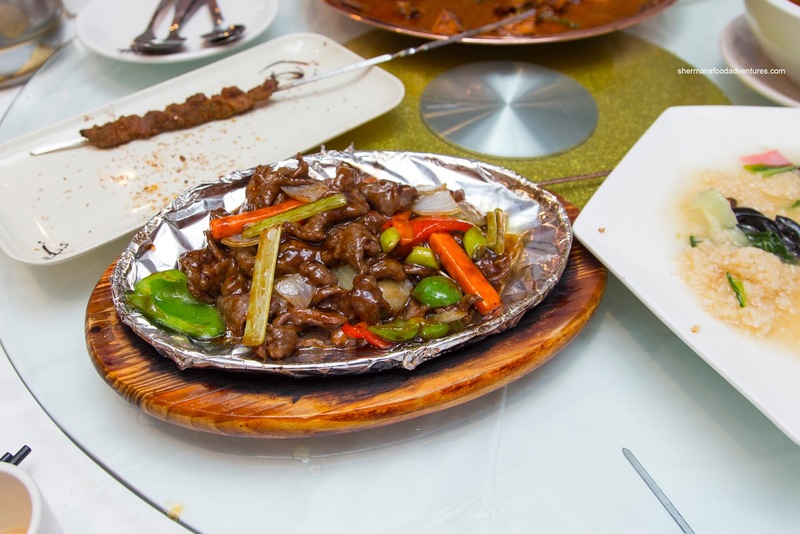 An interesting dish was the Stir-Fried Cumin Lamb and Naan. It consisted of aromatic and crispy pieces of naan that were not heavy. Rather they were somewhat airy and fried beautifully. 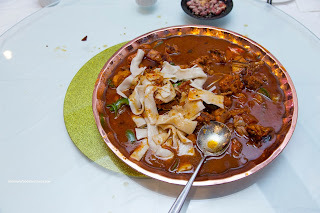 There was some impactful flavours from the plethora of cumin and spice. There was a decent amount of fatty and tender thin slices of lamb. 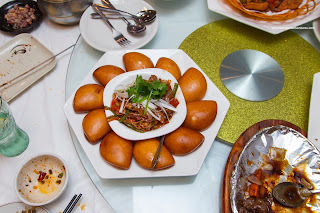 On a similar note, we had the Stir-Fried Lamb Shoulder with fried buns. The saucy and flavourful lamb was the beneficiary of sweet caramelized onions and peppers. It was tasty stuffed within the crispy mantou, but they should've soaked up the oil as it became pretty greasy to eat. Overall, I enjoyed my meal at Beijiang as the proteins were on point and well-seasoned. 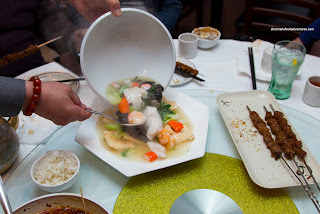 Something different than that usual Cantonese spots especially on a cold day.